There's no risk of your WhatsApp messages appearing on your Facebook timeline, or status updates being sent to your WhatsApp friends, the companies say -- but they will be sharing more user data behind the scenes in order to better target advertising and suggest new contacts across the two services. 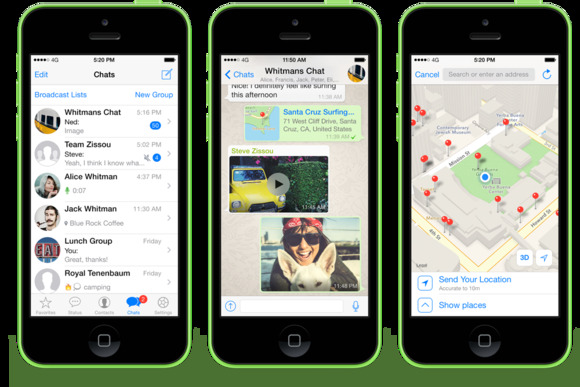 WhatsApp has long promoted itself as a strong protector of user privacy. The changes will also help WhatsApp users better communicate with businesses, the company said in a blog post. In all the examples WhatsApp gave, the businesses were doing the talking, not the listening. However, the company said there would be controls in place to allow people to opt out of business communications. "We do not want you to have a spammy experience," it said. The key change is that WhatsApp will be sharing its lists of users' phone numbers with Facebook, allowing the company to match up WhatsApp accounts with Facebook ones where users have registered a phone number. That will give the parent company more data with which to make new friend suggestions and another way to target advertising. One thing that won't change is who can read your WhatsApp messages: With newer versions of the app, they are encrypted end to end, so only the intended recipient can read them, the company said. In its relations with regulatory authorities, Facebook and WhatsApp are damned if they do, and damned if they don't. Facebook has been roundly criticized in the past for collecting too much information -- particularly about people who don't use its service, or are not logged in, through "Like" buttons on third-party websites. On Tuesday, though, French and German lawmakers said that messaging services such as Telegram and WhatsApp that offer end-to-end encryption don't keep enough information about their users' activities. The French and German interior ministers called for operators of encrypted messaging services to provide a back door for law enforcers to tap into users' messages in the course of investigations.